How to pass this bridge completely assembled? How to pass the Bridges of America with a vessel full of completely assembled cranes? Simple! Just submerge the vessel, like our RollDock Storm did last week. 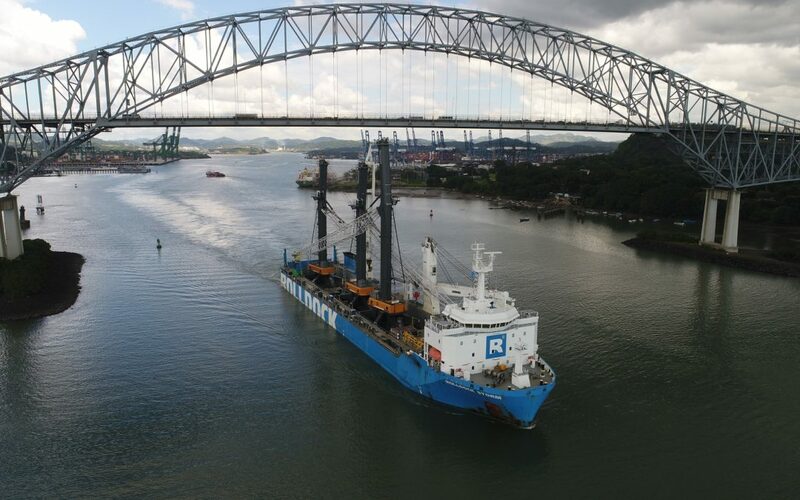 After completing the Panama Canal transit on her voyage from Rostock (Germany) to Manzanillo (Mexico), the vessel submerged up to 7.5 meters in front of the Miraflores locks. Ready to pass the Bridges of America, with a small space left between top of crane mast and bridge. Check out the movie to discover how we ‘roll’.